In his statement to the committee, Horowitz compared universities in America to those in the �third world,� and said a large minority of professors don�t behave like professionals in the classroom. Casting the �crisis� in higher education as a struggle between �leftist totalitarianism� and �mainstream values,� Horowitz cited anecdotes about students being marked down for disagreeing with professors in class. He divulged neither the names of these students nor their professors. Baxley also asserted that the bill would not lead to lawsuits, even though a legislative staff analysis warned the bill could allow students to sue their professors if they feel their views aren�t being respected. The analysis even recommends $4.2 million be spent to hire new lawyers for universities to fight such suits if the bill is passed. 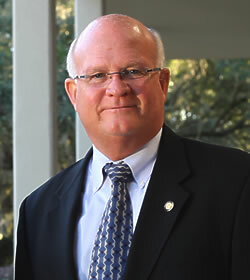 Fortunately, Baxley’s bill never passed and academic freedom was not removed in Florida. As the prime sponsor of this legislation in the Florida House, I’d like to clarify that there is nothing in the law that provides for the opportunity to pursue and confront individuals. It simply lets those who would be victims use force in self-defense. But media reports about Trayvon Martin’s death indicate that Zimmerman’s unnecessary pursuit and confrontation of Martin elevated the prospect of a violent episode, and does not seem to be an act of self defense as defined by the law. But John F. Timoney, Miami’s police chief, called the bill unnecessary and dangerous. Chief Timoney, who has successfully pushed his police officers to use less deadly force, said many people, including children, could become innocent victims. The bill could make gun owners, including drivers with road rage or drunken sports fans who get into fights leaving ball games, assume they have “total immunity,” he said. State figures indicate that justified use of deadly force by private citizens is on the upswing. Florida Department of Law Enforcement statistics show that before the law was enacted in 2005, there were about 13 justified killings each year by citizens from 2000 to 2005. Between 2006 and 2010, the average has risen to 36 justified killings each year. That’s over a hundred deaths in Florida alone directly attributable to Baxley’s “Christian” values in action [see comments 8 and 9 for an explanation of the addition of quotation marks around “Christian” after the post was published].